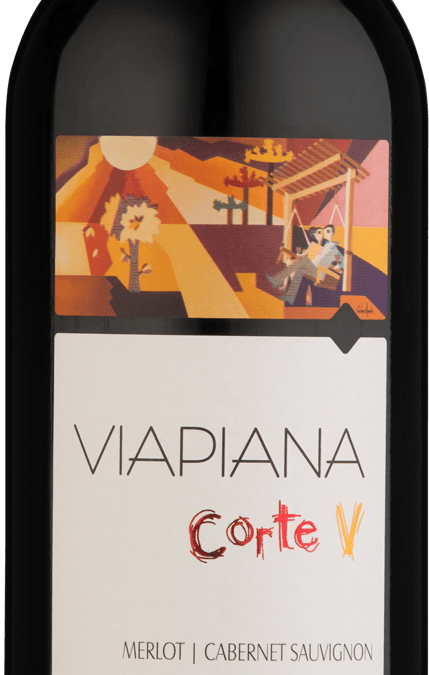 WINE Viapiana Corte V Cabernet Sauvignon/Merlot. Aromas of plums, raspberries and blackberries, with vanilla and chocolate notes. In the mouth it is light with soft tannins and a good relation between sugar and acidity. Ruby red color. Good intensity aroma of plums, raspberries and blackberries, with vanilla and chocolate notes. In the mouth it is light with soft tannins and a good relation between sugar and acidity. Grilled meats, pastas with red sauces. Serve between 16ºC and 18ºC.